8 day and 7 night cruise departing from the Main Wharf at Goolwa, South Australia; travelling 878km while passing through 11 locks and ending in Mildura. 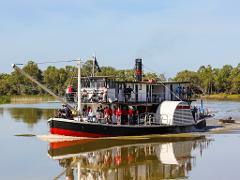 A 35 km cruise up the Darling River is also part of this unique itinerary. 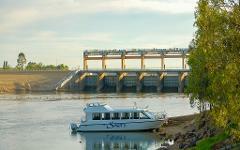 5 day/ 4 night cruise departing from Wellington, covering 550 kms of the Murray river and passing through 6 locks ending at the Victorian border . 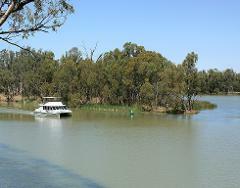 8 day and 7 night cruise along the Murray river departing from Echuca, covering 826kms and ending in Mildura. 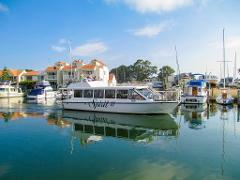 6 day and 5 night cruise through the Gippsland lakes covering 240 kilometers of the lakes and associated rivers.The cruise departs from Sale, Victoria. 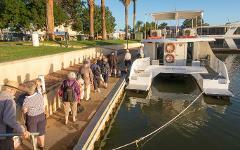 8 day and 7 night trip combining Murray River cruising on various boats and paddle steamers and unique luxury coach touring., departing from Melbourne's CBD and ending at the Murray Mouth South Australia. 6 day and 5 night tour along remote sections of the Murray River and four tributary rivers including: the Darling, Murrumbidgee, Wakool & Edward Rivers, departing and returning to Adelaide CBD. 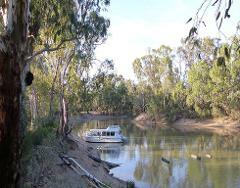 A unique 3 day/2 night outback Murray River tour through the most isolated stretches of Australia's greatest river. Accommodation at night in Shearers Quarters while cruising the river by day. 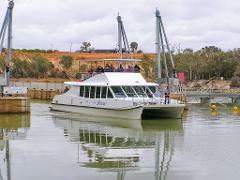 5 day/ 4 night cruise departing from Renmark, covering 550 kms of the Murray river and passing through 6 locks ending at the historic Port of Goolwa near the mouth of the River Murray . 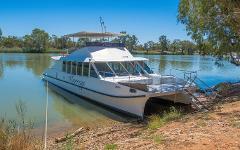 Cruise the remote sections of the River Murray between Renmark and Mildura on this 4 day/3 night expedition. 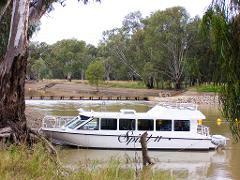 Dinner, bed and breakfast in a Riverland town each night and cruising the river by Day. 6 locks and 426 kms.